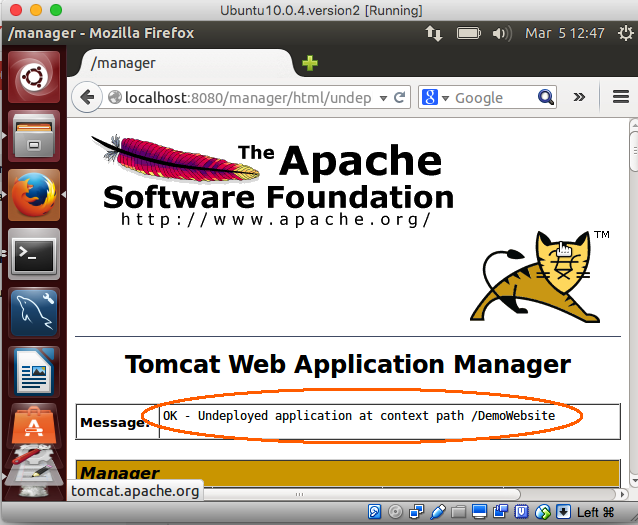 One important function of the Apache Tomcat manager web application is to undeploy web applications. 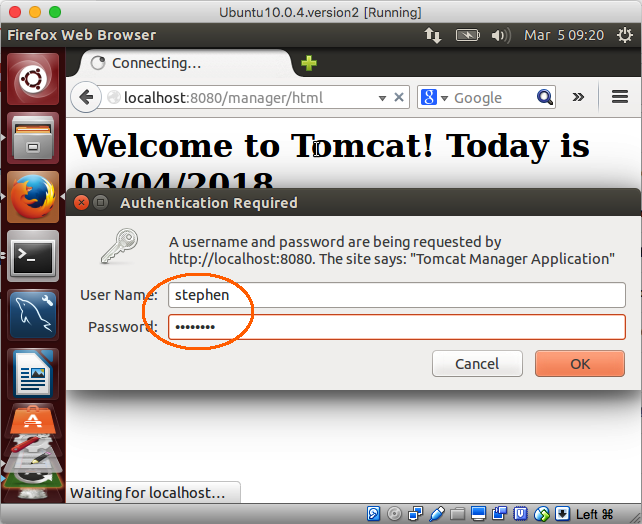 In other words, the web site will be removed from Tomcat and therefore will no longer be available on the World Wide Web. 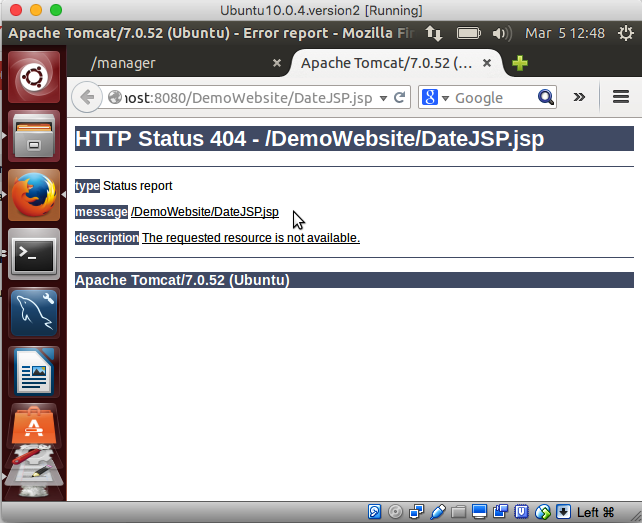 You'll need to create a WAR file so that you'll have a sample web site to undeploy. 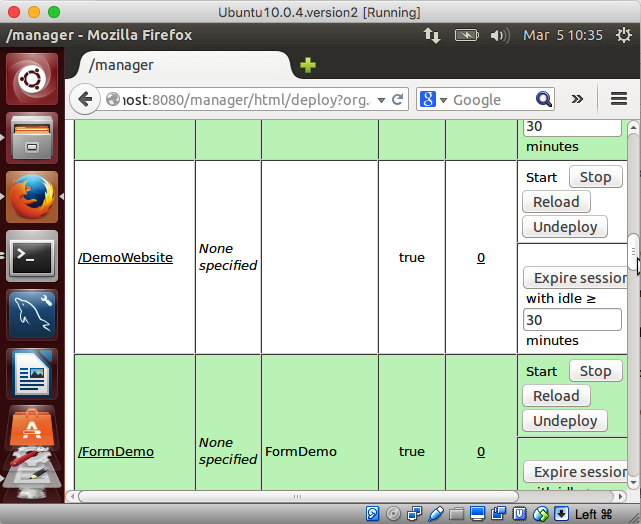 The instructions for creating and deploying a WAR file can be found in the topic . Follow all of the steps in this topic before proceeding to the next step. Note that each application, including DemoWebsite has an associated set of buttons that allows you to start, stop, reload and undeploy the web application. We will focus our attention now on the undeploy operation. Undeploy will delete the WAR file and unpacked folder under the "webapps" folder (note: if you have deployed the web application as a context file then the context file will be deleted from CATALINA_BASE/conf/Catalina/host_name, e.g., /var/lib/tomcat7/conf/Catalina/localhost). **IMPORTANT: Before you undeploy your website, make sure you have a backup of the WAR file (or context file) in case you need to deploy the web application in the future.